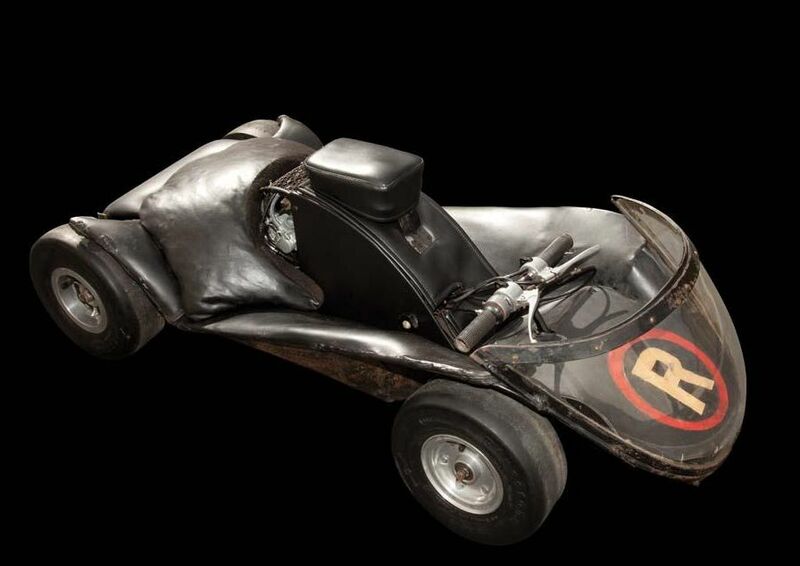 (ABC-TV, 1966-1968) (ABC-TV, 1966-1968) This cart is the sole hero go-cart and the only one that had a working engine. 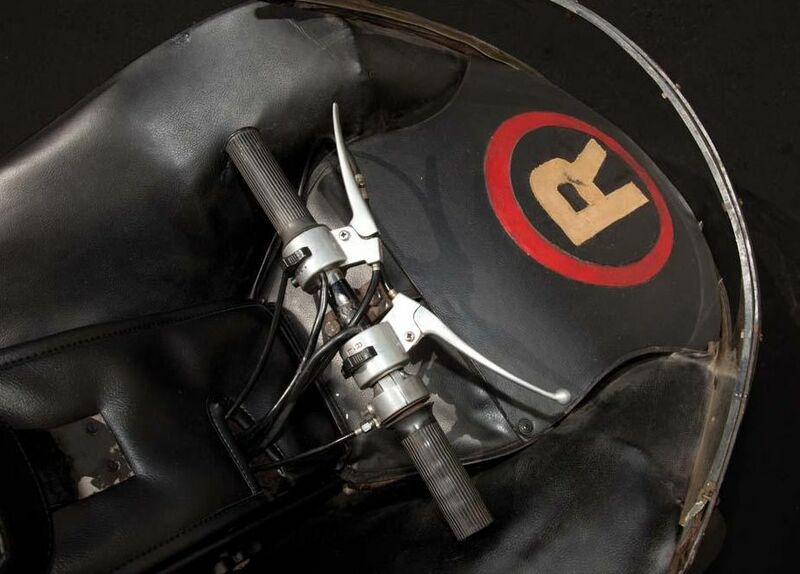 It was built in 1966 by Richard "Korky" Korkes and Dan Dempski. 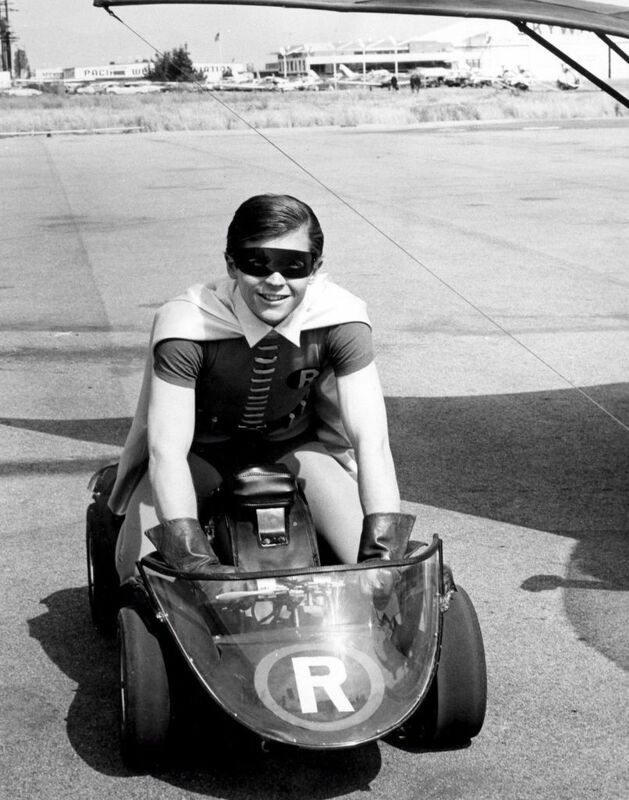 ?This cart was seen in four episodes of the Batman TV show and could be seen in the Batman feature film driven by Robin (Burt Ward). 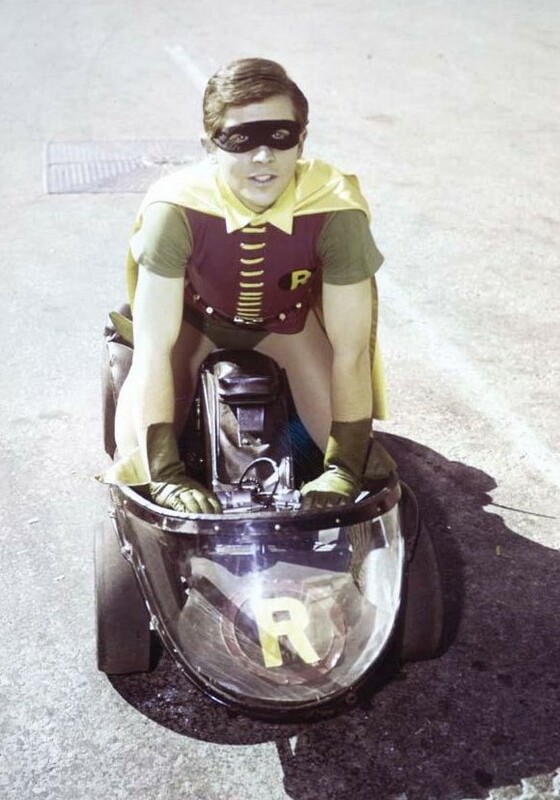 ?It is completely hand-built and made from steel and powered by a two-stroke Yamaha 55cc engine with a 3 speed manual transmission. It has an Airheart disc brake system, electronic starter and its original wheels and Firestone tires. 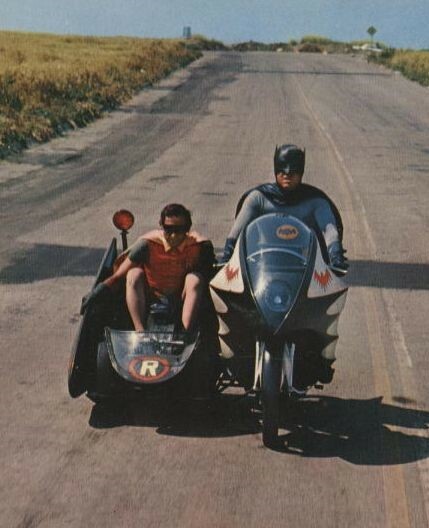 It is fully running and all parts are original and unrestored for the exception of four replacement Naugahyde vinyl pieces. The cart has its original windshield which exhibits a crack with a hole drilled through it. 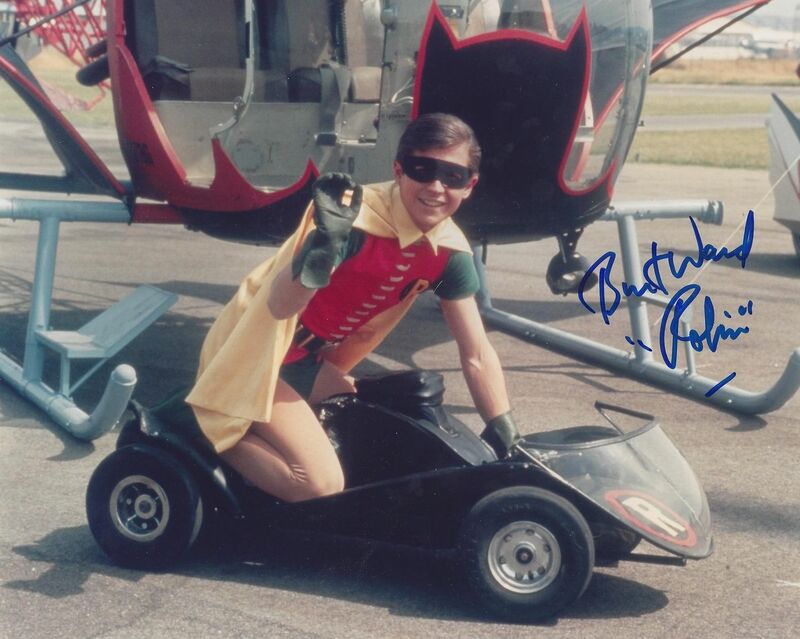 The hole was drilled by Dan Dempski in 1966 to stop the crack from spreading and it can be clearly seen in vintage photos where Robin (Burt Ward) is driving it. The lot does include one of the original vinyl Naugahyde panels (that is not being used) & its original (non-working) battery. 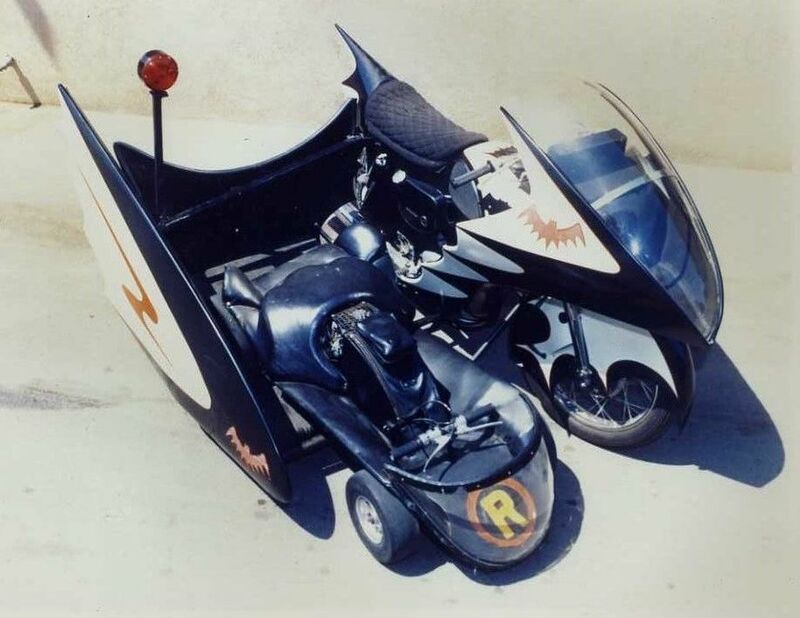 The Batcycle go-cart was produced as a plastic model in the 1960s by Aurora and in the last few years by Hot Wheels and Polar Lights. Accompanied by a letter from its former owner for the past 40+ years and a letter from Richard Korkes attesting to its authenticity. (*) Photos & info courtsey of, "Profiles in History"